On your mark, get set, PLAY! Kids will be ready to take off and explore as they race up down and around the Dinosaur Valley system. 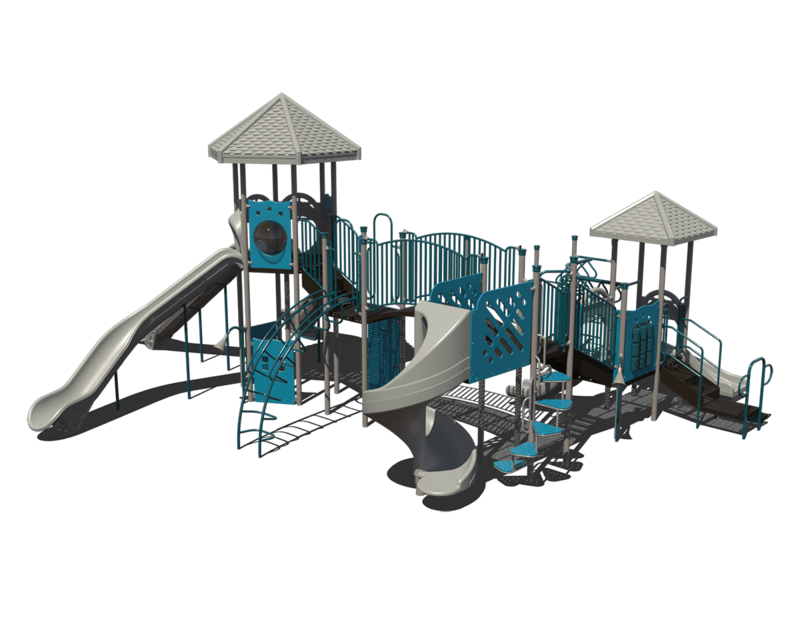 Perfectly built for any neighborhood, city or school park, this full sized adventure center can accommodate up to 52 kids and handle any aMount of fun. 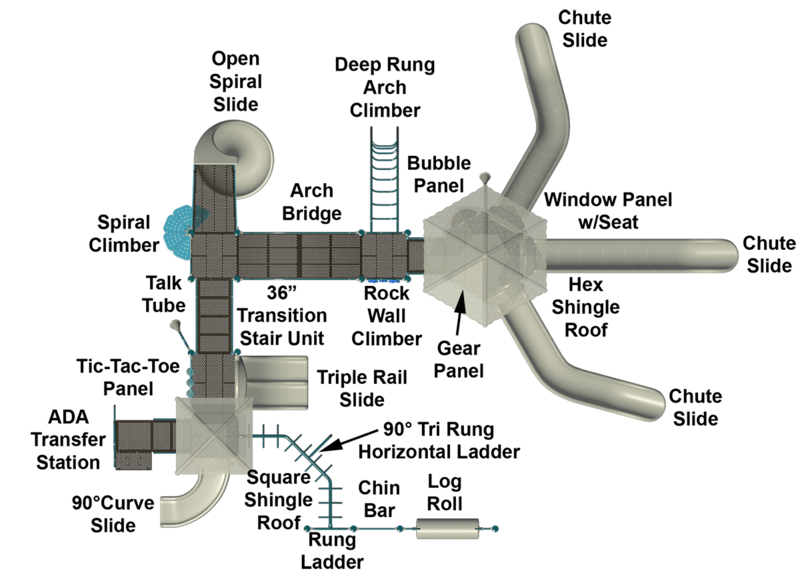 A monstrous five slides, two climbers and 2 ladders highlight this fascinating structure and serve as exciting entry/exit points while simultaneously promoting the development of upper body strength. 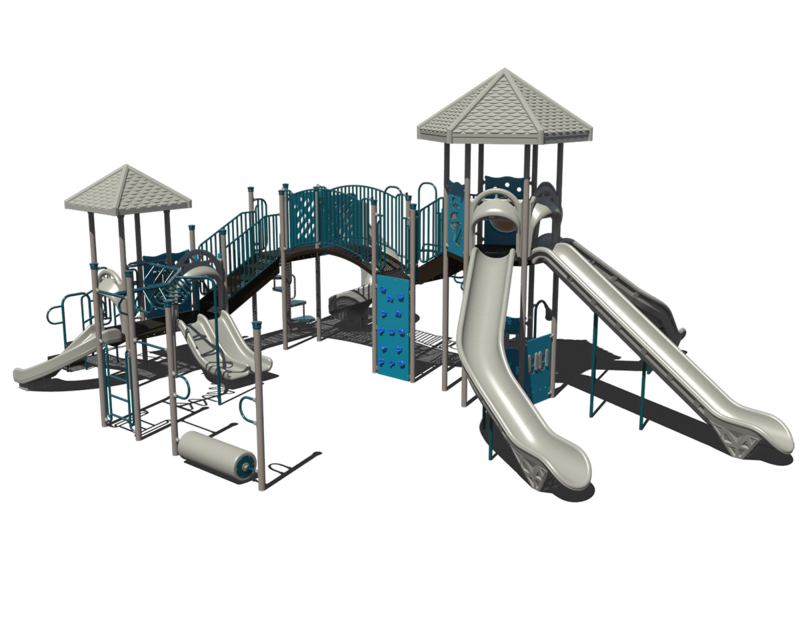 Below and above deck sensory panels help bring this system full circle and ensure fun for all.